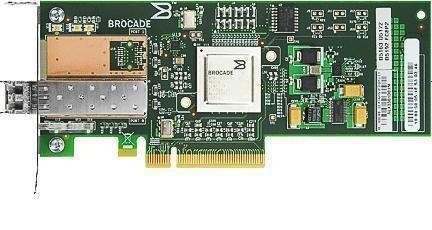 Brocade 8Gb HBAs enable end-to-end SAN Solutions using 8 Gb Fibre Channel technology for System x servers. They provide the ability to build high-performance, highly available SANs and are easy to set up and integrate into existing SAN configurations. For local or remote management, Brocade provides Host Connectivity Manager (HCM) native GUI and CLI tools to configure and monitor its HBAs. In addition, Brocade DataCenter Fabric Manager (DCFM) provides unified, end-to-end management across fabrics with Brocade Fibre Channel switches and HBAs. Both DCFM and HCM provide open APIs and standards-based interfaces for integration with popular third-party applications and higher-level frameworks to help orchestrate Brocade hardware and SAN services.